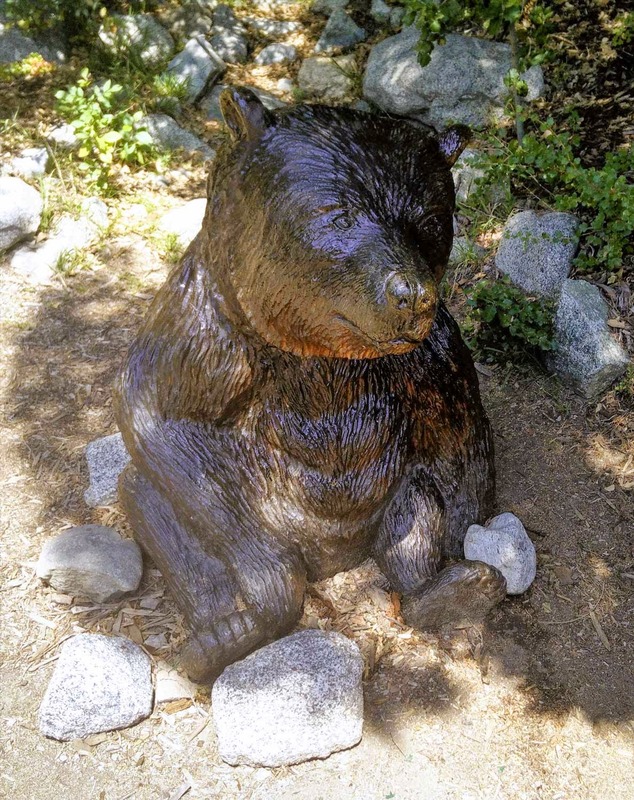 The statue of Samson The Hot Tub Bear in Monrovia Canyon Park has been under repair for the last few weeks by Canyon Park volunteers. 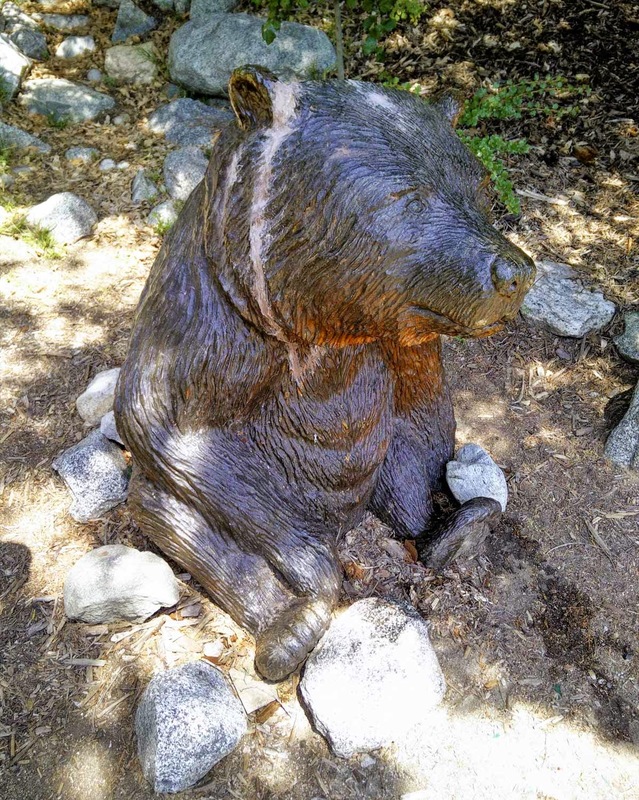 Due to wood rot and termites, the interior of the statue had been eaten away and was basically hollow, causing the head to fall off (See photo here). After doing their best to solidify the inside as much as possible, the head was re-attached two weeks ago. You can see in the above photo the patched line where the head broke off. After leaving the statue covered and letting the repairs set, the patched areas were re-stained today. The statue is still in very bad shape and this repair is at best temporary, but Samson looks pretty good for now. On the outside at least. Samson remains covered until the stain dries and a coat of varnish can be applied. When he is unveiled, this is not a statue that should be climbed on.